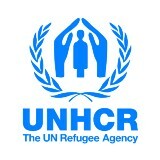 As a communications officer for UNHCR, the UN Refugee Agency, based in the southern port city of Aden, part of my job is to try to help the outside world understand what is happening to Yemen and its proud people by sharing some of what I’ve witnessed and heard. It is time to recognize that how we treat the uprooted will shape the future of our world. For who else but the victims of war hold the keys to lasting peace? Who else but the refugees returning home can demand a stop to the cycle of violence? So if, at last, I was to come to some sort of definition of “home”, I would offer you this: Home is a place of compassionate community. It is a place where the act of compassion benefits the receiver but also enriches the giver. Fortunately, there are also ordinary people who are so moved by the suffering of others that they feel compelled to take action. They realise they do have the power to make a difference: by making donations, fundraising, writing to their governments, employing refugees, volunteering at support centres. And there are people who have gone beyond those vital and essential acts and even opened up their homes. We should not ask a child forced to flee her home to also give up her education and her dreams for the future. And we must recognize that among today’s refugee children are tomorrow’s leaders, on whom we will all depend for peace. Seeing the full-to-the-brim classrooms at first hand, you are left in little doubt that there is plenty of demand for education. Most refugees are settled in areas a long way from existing state-run schools. Setting up new ones not only gets refugee children into the national education system, it also raises capacity and standards for local communities. “Schools like Yangani are filling a crucial gap,” Okello says. Compassion and generosity have made Uganda a beacon of hope for refugees. Our statistics show that 65.6 million people — more than the entire population of the United Kingdom — were forcibly displaced at the end of 2016.